I am thankful my teenagers have been fairly easy to parent and quite enjoyable to be with. They are obedient and kind, get great grades, enjoy participating in church, and don’t mind spending time with the family. We’ve had our various challenges, but most have related to difficult things they are going through, rather than direct conflicts. As I reflect on these years, a few pieces of advice come to mind for parents of children who are about to enter this phase. These thoughts are related to mistakes or troubles we went through or experiences we heard about other parents having. At this age, children are getting more and more independent and making more of their own decisions, so it’s helpful every once in a while to review what choices fall under their domain and what is still expected of them as a member of the family. You might remind them, “You are expected to come to family dinner and scriptures every evening and go to church with us each week.” Also, tell them you expect them to work hard at school, turn in their work, and get good grades. You might think they already know this, but having it explicitly spoken out loud can make a difference in their thought process and choices. It doesn’t have to be a big lecture, just a reminder now and then. And be sure to compliment them when they do these things (for example, “Thanks for coming to dinner when I called you, we like having everyone here at the table”). Another situation you want to discuss is what items you want them to pay for and what you will pay for. If you can be clear about this it will save frustration and confusion. But allow yourself to change your policies as needs arise. There are so many factors that go into these types of decisions (what their friends are getting or doing, how much money children can earn on their own, how much discretionary money you have, etc). This doesn’t have to be something set in stone, just a foundation for future decisions. By having these conversations early and often you prevent problems instead of struggling with them as they come up. You’ll have more conversations as they get older and more independent: to discuss rules regarding driving and car use, expectations about letting you know where they are in the evening and when they’re coming home, etc. [For more about this, see Rules or Relationships]. In all of these areas, don’t assume they know what you want or what you are thinking. You are probably starting to get the idea. These exact phrases might not be important or relevant to you, they are just examples. You might be surprised or amused by these examples, but good teenagers everywhere have tried these things and tried to justify them! I’m suggesting you mention these things to your child (whichever ones apply to you and your situation) but I’m not saying this will completely prevent them from doing any of them. All teenagers make mistakes and there are no sure-fire ways of parenting to prevent this. But there is power in just saying them. Don’t be overbearing or judgmental, but just say them. For the most part, children are obedient. If they’ve been explicitly told ‘not’ to do something, they will try not to. You want to keep communicating with your teen, finding out what they are doing and how they feel about things. It’s good to make compromises when you can, so they feel that they have a say in how things go and some control over their lives. And give them more control as they get older. Remember that they are going to be completely independent one day, and prepare them (and yourself) for that. Try to give them as much freedom as possible, but since they still live in your home, that freedom needs to be accompanied by respect. This mean communicating where they will be, what they’re doing and how they are feeling about things. It’s definitely a balancing act to know what to do for your teenagers and what to expect of them. 2. Besides continuing to remind your teens what behavior is expected, you are also trying to keep up a good relationship with them. This can be tricky because they get “prickly” around this age: hard to talk to, hard to hug, and hard to take on family activities. One strategy I’ve found for creating positive interactions is “eyes light up.” This means be enthusiastic and excited when you see them—first thing in the morning, when they come home from school, or anytime they come in the door. These “’crossroad” times start to become the primary way you see or interact with your child, which makes it even more important to have a good interaction. This technique may seem obvious and easy when you have little children, but it gets harder as they get older. For the most part, little kids’ eyes light up when they see you, first thing in the morning or when you come home, and you automatically mimic this and act excited to see them too. But as children get older, this unfortunately happens less and less. Teens frown or scowl or just have a neutral expression when they see you, and again, you tend to automatically mimic this. It’s natural to copy the other person’s mood and approach in any human interaction. So there comes a time when you have to make a conscious effort to light up your eyes upon seeing your teenager. It doesn’t come naturally because they are often grumpy with you. But, it can make a big difference in the interaction because sometimes it makes them mimic you! They may hold on to their frown, but at times they will respond to you with a smile and a happy face (and those times make up for a lot of scowls!). At least they will know you love them and are excited to see them, and that is definitely the message you want to send. Get in the habit of greeting them with love and enthusiasm. It helps you feel more positive about your teenager and it will make a difference in how they respond to you. 3. Because children of this age are prickly, it’s easy for parents to start to pull away and interact with them less. When I saw this happening in myself I made a goal to try to do these three things every day: hug, compliment, and ask a question. Questions can include what happened in history today? How is so-and-so doing? How did your test go? How are you feeling about ___? Once again, when your kids are little you can’t imagine not doing these things, but there will come a time when these behaviors don’t come as naturally. Teenagers are compared to porcupines for good reason! You can get “pricked” when you try to ask questions or give a hug, and that makes you nervous to try again; you start to become afraid of future rejections. It’s natural and common to start talking and interacting less. There are times when I feel like the only reason my teens talk to me is to ask me for something (money or a ride). 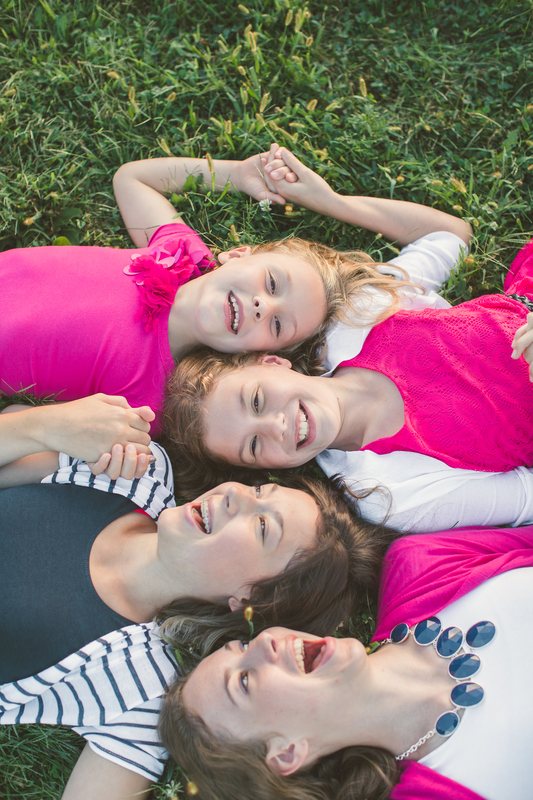 When I decided to attempt these three things every day (give a hug, give a compliment, and ask a question) I found that I could stay more in the habit of interacting with my girls. These small conversations sometimes lead to larger ones. And again, at least your child knows you care and are trying. 4. My last piece of advice is simple and straightforward. Have your teen make Sunday dinner every week for his/her senior year. By doing this for a year your teen will learn how to make many different meals and have a great foundation for preparing food for herself in the future. Your teen might resist at first, saying she’s too busy, too tired or doesn’t like to cook. But as the year goes on you will be amazed at how well she develops this important skill. Fostering these abilities will benefit teens their entire lives. They will feel more confident and secure as they begin to live on their own and be more independent.